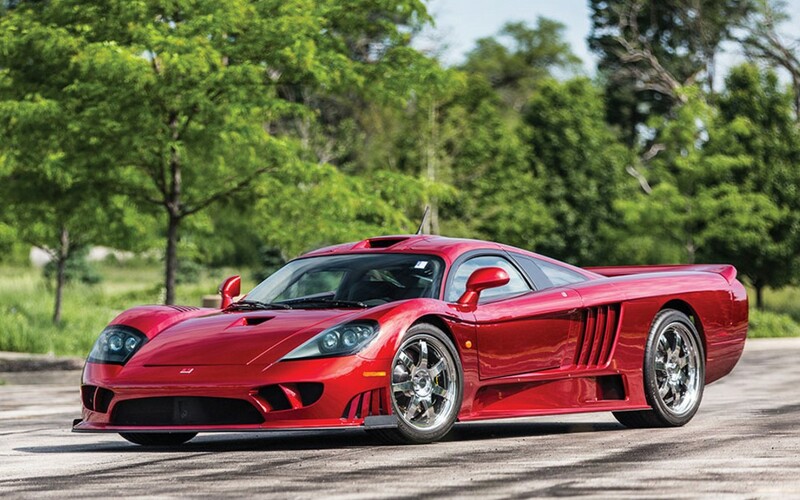 We’ve recently featured a Saleen S7 – the standard, naturally aspirated version of America’s most outlandish supercar. But what we have here is the more powerful version of Steve Saleen’s Irvine, California-built, gill-riddled, street-legal monster. This version of the S7 is powered by a twin-turbocharged 7.0-liter Ford V-8 making 750 horsepower. That’s enough power to propel this thing to 60 mph in 2.8 seconds – all the way up to its 248 mph top speed. And it’s a legitimate car – not some thrown-together-in-a-barn sort of thing. They built these between 2005 and 2009 (the original S7 went out of production in 2006). This car has only been driven about 300 miles since new. A recent service means it’s ready to add to that number, and rapidly. Only 13 Twin Turbo S7s were built in 2006 (and production fell off a cliff after this model year), making this is one of the final S7s built. It’s a true American supercar – and the best version of it. Click here for more info and here for more from RM. This entry was posted in Uncategorized and tagged 2006, auctions, cars, rm sothebys, s7, saleen, supercars, twin turbo by classiccarweekly. Bookmark the permalink.